The stakes were high and the bets completed. Of the four films to release this Sankranti, there is a unanimous feeling that all the four films were different from each other and belonging to different genres. This is wonderful news for Tollywood that it selected four different varieties of films for releasing this Sankranti which gave a wide variety of choice for the movie-goers. For those who want conventional masala fare, Balayya’s “Dictator” film has been a good bet for them to see things familiar – item songs, punch dialogues, multiple heroines and bashing of villains. For those who want the flavour of something different and intelligent with the requirement to use your brains, “Nannaku Prematho” serves the perfect fare as the smartest film with the unique avatar of NTR, the confrontationist charisma of Jagapathi Babu and the extra glamour of Rakul Preet Singh. Even though many don’t agree with dumb way in which the villain becomes a pauper in the second half, the movie has cast its spell on the audience and being released a few days before Sankranti gives it an extra edge in collections. For the youthful audience who are looking for non-stop entertainment and tons of comedy, “Express Raja” is a surprise pack at Sankranti. Excellent production values, power-packed comedy scenes and towering performance by Saptagiri and Prabhas Seenu besides the style of Sharwanand are drawing the audiences in droves. And finally, the real Sankranti festivities and the glamour of village life in all its rich forms are available in only one movie – which is making the rural masses and those who like the quieter pleasures of life flock to – “Soggade Chinni Nayana”. With a crazy title, attractive dialect, unique Socio-fantasy angle and the power-packed performance of King Nagarjuna, SCN is on its way to be a blockbuster for Sankranti even though it released a day later. Finally, all four films, by their varied genres and diverse fan bases of the heroes have the potential to rake in the moolah at the box-office. The good news again is that all of them are made on reasonable budgets and should make quicker bucks. “Nannaku Prematho” is the costliest of the lot to make money and the extra day of release in the long weekend should hold it in good stead. With a budget of Rs.40 crores, it is already counting upwards of 35.5 Crores in India and USA for 5 days. “Nannaku Prematho” has collected a cumulative share of Rs.28.5 crores share for 5 days in the domestic markets as per Reliance Entertainments representative Shibasish Sarkar, and has collected another 7 Crores Share ( $1.63M Gross = $1.04M Share) in the USA market.It could well end up collecting over Rs.45 crores making it a decent hit. However, to be termed as a hit by all corners, this movie needs to be sustain reasonably in second week too. B,C Centers were seen drop in collections already while A Centers and Overseas are holding up good. “Dictator” is the only white elephant which can make good money in the B and C centers and the areas where Balayya fans feast on his movies like Coastal Andhra and Rayalaseema regions. Made at around Rs.27-30 crores,collected 15.1 Crores share in 5 days (including today) in Telugu states and in USA disaster obviously.It has less chance to break even through theatrical rights but with satellite rights it may close to break even for producers. It could still end up collecting as much as the weekend passes as the talk is paisa vasool in B,C Centers. “Soggade Chinni Nayana” is made at a cost of Rs.18-19 crores and may go into profit pool once the collections cross Rs.20 crores. Historically, no Nagarjuna film (except “Manam” which had a different appeal because of ANR) had ever crossed Rs.35 crores. “Soggade Chinni Nayana” in 3 days had collected 10.4 Crores Share in Telugu States,2 Crore share in USA( $533K Gross), 1 crore from Karnataka and other indian states. From a ROI, Currently sitting at 13.4 Crores share, if SCN crosses Rs.30 crores mark, the film will make 1.57 times return on investment for Producer Nagarjuna. “Express Raja” is likely to make the good ROI. Express Raja has collected 3.97 Crores share in first four days in telugu states, 85 lakhs share in USA ($253K Gross) and Total 4.82 Crores share.Made at an moderate cost of Rs.8 Crores, it is likely to end up collecting around Rs.10 crores share which means an ROI of 1.25 times. Now, that is the power of ROI versus collections mania usually measured in Tollywood. 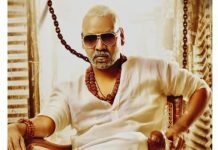 In summary, the Sankranti promises to be a good money-spinning proposition for distributors as all the four genre films may end up making money for the distributors because of the average-to-above-average talk for all the films. It is only the producer who may have different returns on investment. But at the moment, nobody is complaining this Sankranti and after the good run of “Nenu Sailaja” which ushered in the new year 2016, Tollywood is happy with the crop of Sankranti.